Amia • View topic - Rumors in seedy taverns! "Have you heard? 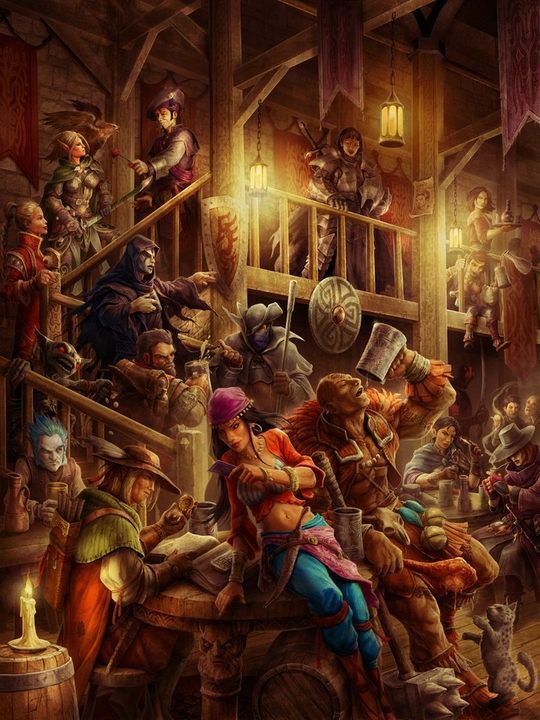 Word on the street is..."
This is a topic for plothooks (and responses to them) floating around in the various seedy taverns, alehouses and all other places where women and men of all races and questionable professions come to drink, celebrate, brawl and do all other mundane or shady things. These are usually, but not necessarily exclusively, directed at PCs at the shadier spectrum of things. That being said, most of the jobs will likely remain firmly in the morally grey areas (of course, your PC is free to do good or evil acts during them as they otherwise would too.) so a lawful good lawkeeper would likely not find much reason to participate, short of stopping something from happening maybe. - Is your PC a classic rogue, ie. someone who hangs around a lot in the underworld, maybe involved to a good degree in shady business themselves etc? Then the answer is probably yes. - Does your PC generally hang around in said bars and there is no particular reason people would think twice before telling him about stuff. Then the answer is likely still yes. - Is your PC known to be a force of good and law, has any giveaways that might indicate of such a disposition and so on? Well. They might tell him their opinion about present apple prices. And probably lie about it too. 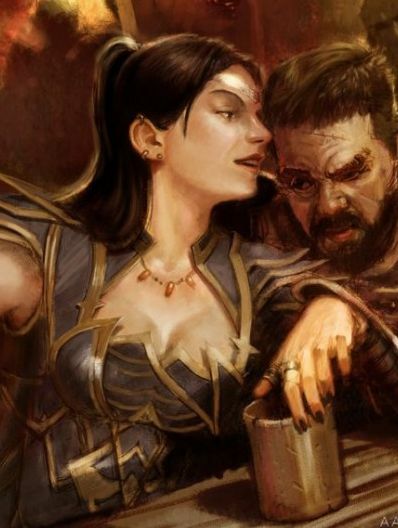 - Otherwise it usually depends on the DM in questions post, keep certain logical limitations in mind, i.e., if the source of some rumor is a gnomish rogue, it would be extremely unlikely for him to tell a kobold anything. If you are unsure whether your PC would have learned something ask the DM who posted! Rumor has it... that someone has been hiring those of shadier persuasions for the occasional odd job involving delving into and robbing ancient tombs. Medium amount of expertise acceptable, willingness to kill not required. Those interested in the job, are advised to seek out a man going by the name of "Marek". It might take some time and a handful of coin to pay for parched throats to get word to him, but surely in time a meeting could be arranged. In particular, a quick mind, skilled fingers and the knowledge of how to work locks and traps seem to be asked for. // This is, for now, primarily an interest check since the actual implementation will need to wait pending a particular update to Amia thats in the works. Optimally I'd like to have a group of abut 4-6 PCs there. Without spoiling what I have planned, this is meant to go beyond just simple grave robbery, so you should be prepared that this will have at least a handful of sessions before being completed. PCs wanting to participate should be at least around level 13, higher is acceptable, this is meant to be a very combat-light event series with emphasis on other skill sets. Let me know, either by post below or via PM if you are interested and with which PC you'd like to join. A lavender haired elf-like creature with Rosette colored eyes seeks out word with "Marek" spending a pretty penny to the hungry cats looking for a feed. They leave the name 'Ghost' as a calling card and leave response directed to the Slanty Shanty. A flamboyantly dressed bard makes the rounds, telling tales, buying drinks and listening to fantastic stories in bars all across Cordor, hearing tale of this 'Marek', he leaves his name spread far and wide in the shadier confines of the city as the wandering minstrel 'Hazard' to have word left with any barkeep in the city. He makes the rounds often enough to check in here and there.